Badnore Fort is a strikingly magnificent fort situated in the Bhilwara district of Rajasthan. At a distance of approx. 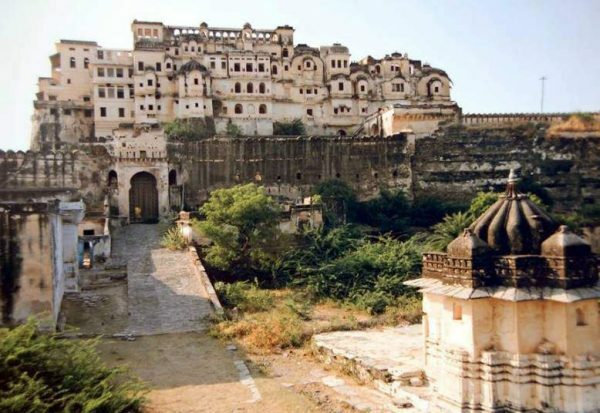 180 km from Udaipur, the fort makes one of the best vacation getaways from Udaipur. 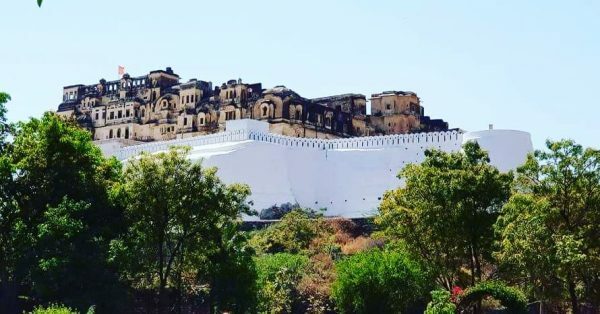 Located on Bhilwara-Asind Road, Badnore Fort is a huge seven storied Fort standing magnificently atop a small hill which allows it to provide a widespread and stunning view from the fort. The architecture of the Fort reflects that of the splendid traditional Rajputana style as well. 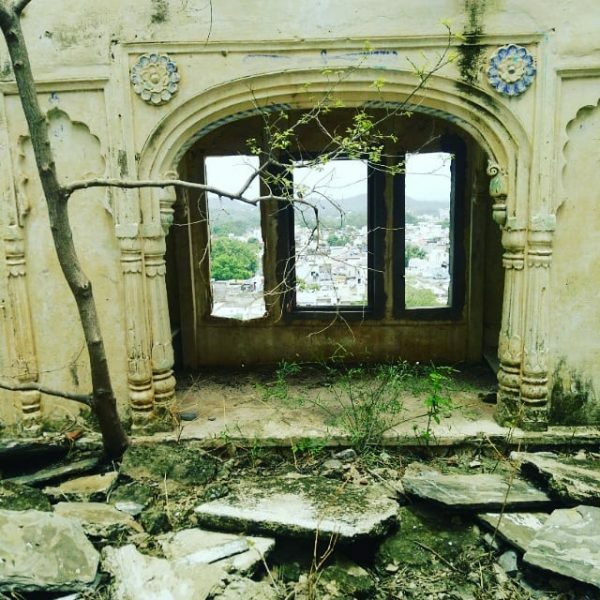 Although the fort is in a state of decay presently, it represents the majesty and architectural glory of erstwhile Rajput rulers of Rajasthan. The fort has been strategically constructed as it has provided defense to the rulers back then and has also served as a mute witness to a lot of dissension in its earlier days. The fort is strategically placed near a Lake which doesn’t just gives an awe-striking view but has also blocked invaders to attack easily from one side. The Lake water was the major source of water for the occupants of the fort. To enter the fort, one has to go through the huge Gateway which is rightfully known as the Bada Darwaza. Two temples can be spotted at the entrance of the fort. As you go further, you’ll find a prison with separate cells along with numerous stables. Apart from that, the fort has many rooms which are spread across different levels and each room has a small window. These windows were not constructed just for decoration but they were mostly used to aim at the invaders and shoot at them. It provided the stability to the people to focus and attack. While some of them used the protruding balconies for the same. There is a Palace near the fort named as Jalmahal Palace which is built on the banks of Vinodsagar Lake. This palace was served as the summer house for the kingly residents of the fort. 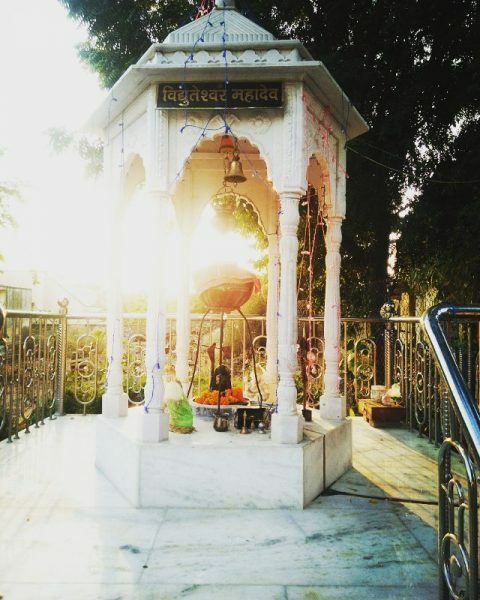 Chamunda Devi temple – Chamunda Devi temple or Chamunda Mata temple is situated on the hills of Harni Mahadev. It is said that the ancient temple grants wish from all her devotees who wish from a clean heart. Apart from that, one can get a spectacular view of the entire from up above the hill. Kushalamata temple – the construction of Kushalmata temple was done by Rana Kumbha when he won the war of Badnor/Bairath war back in 1457 AD. The temple offers peace and serenity to any of its visitors. Thus, making it a must-visit site from the fort. Apart from that, there is also an ancient Jain temple near the fort which houses the statues of 12 Tirthankars of Jain. By Air – The nearest airports from the Badnore Fort is at Udaipur, at a distance of 190 km. 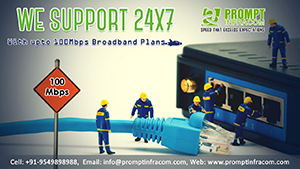 By Rail – The nearest Railway station is at the small town Beawar located right adjacent to Badnore. By Road – Badnore Fort is easily accessible by the Road from the major destinations within Rajasthan. The Fort is located near the National Highway that connects the cities of Jaipur and Udaipur. Do you have any feedback regarding the article? 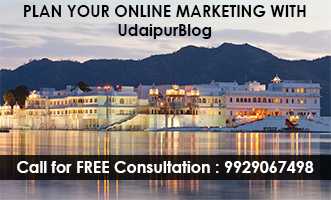 Share it in the comment section below or if you have any suggestions write to me at juhee@udaipurblog.com.